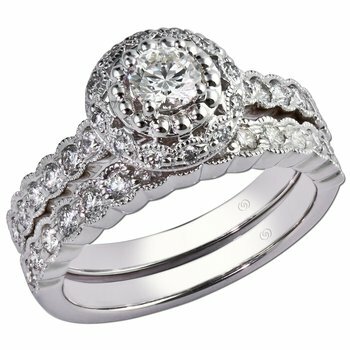 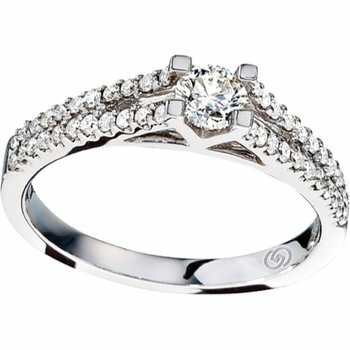 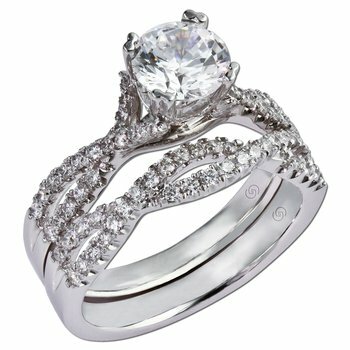 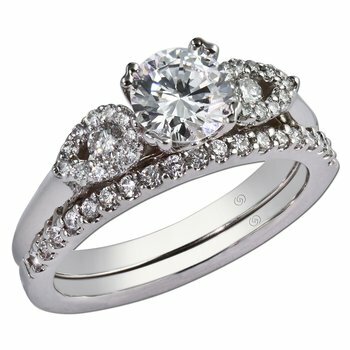 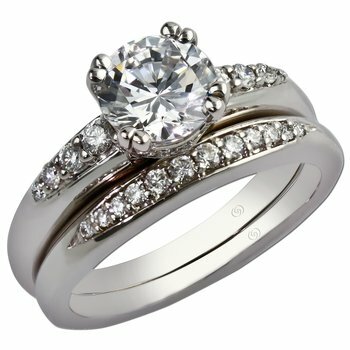 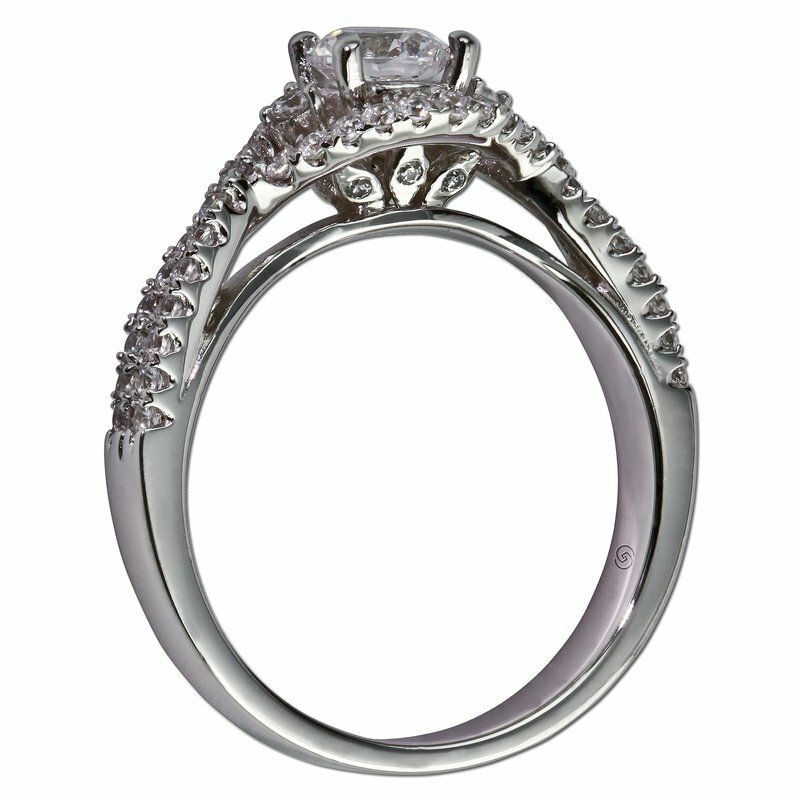 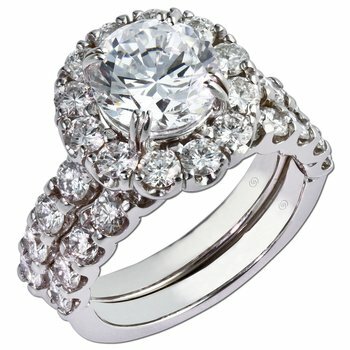 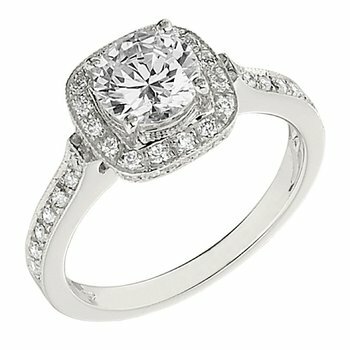 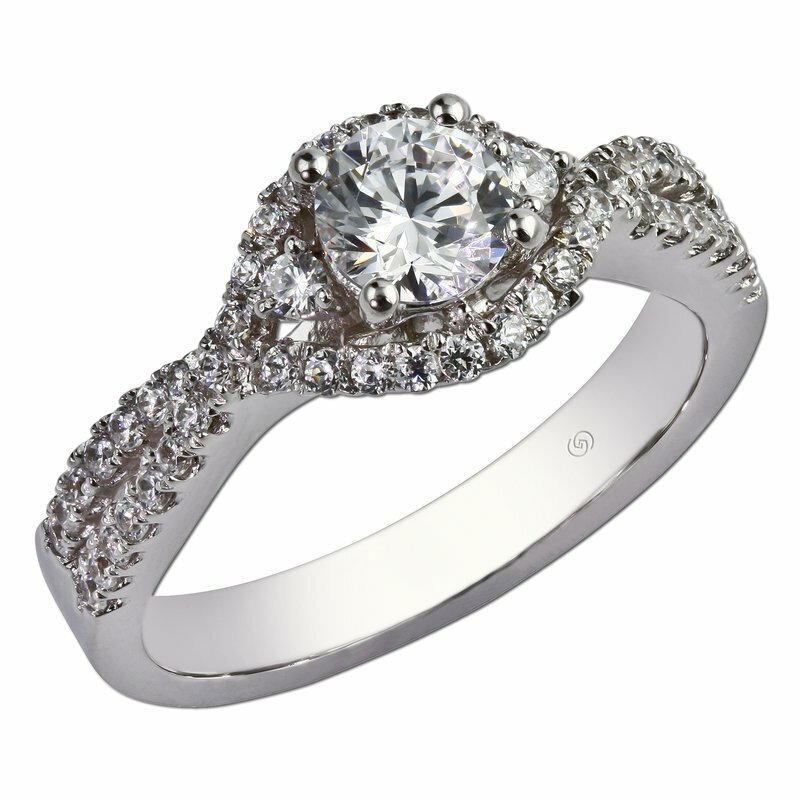 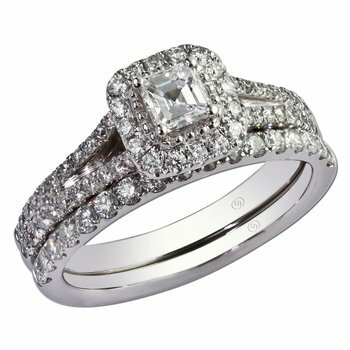 Beautiful Petite lines twist together to form a gorgeous diamond halo around a three stone top view. 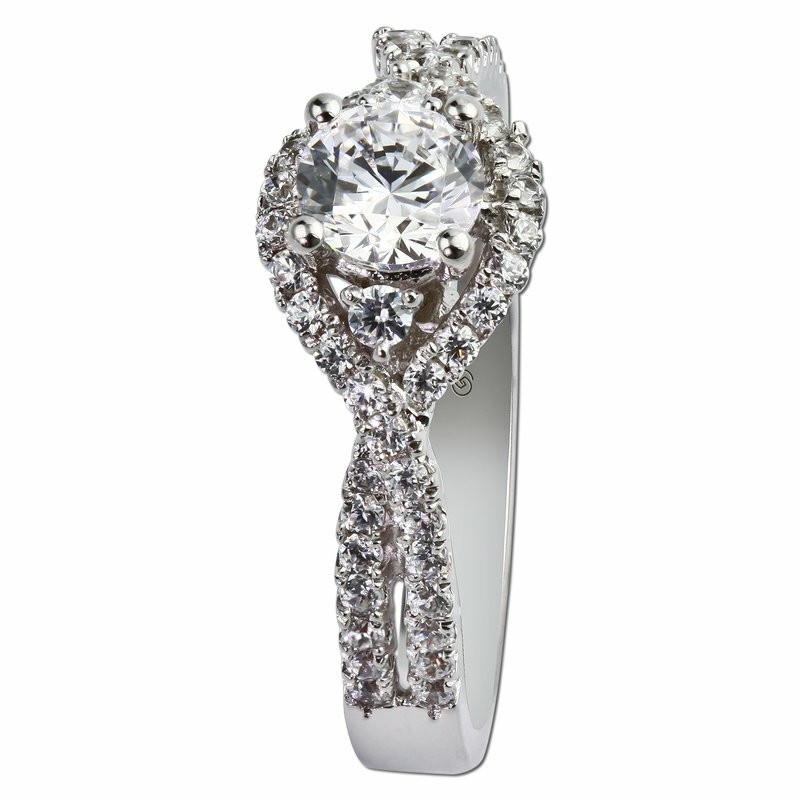 The shared prong set petite lines continue into a twisting shank surrounding the finger. 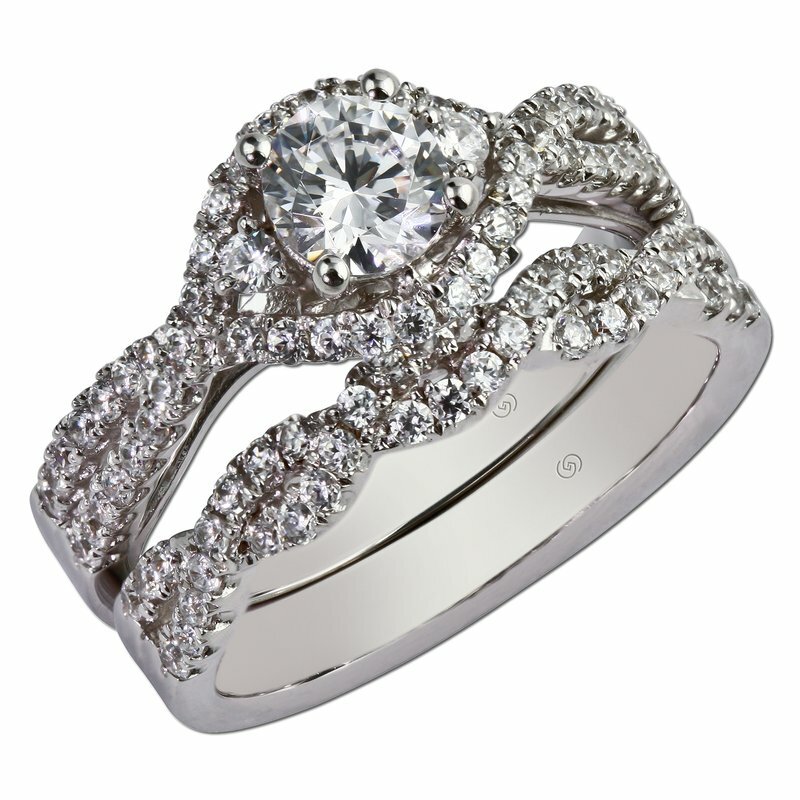 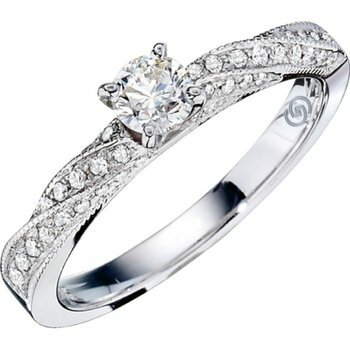 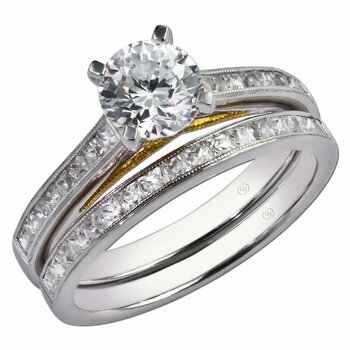 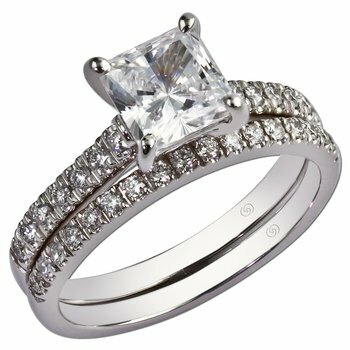 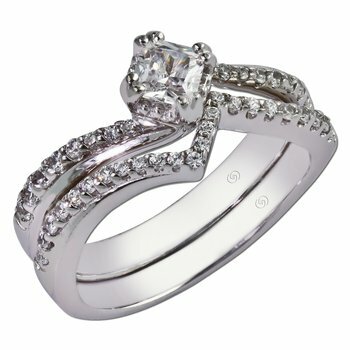 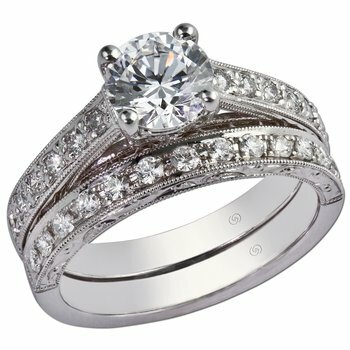 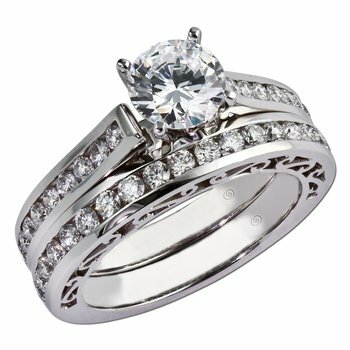 The matching wedding band displays a consistently stunning shared prong diamond twist across the top of the finger. 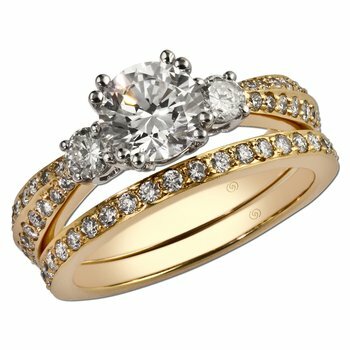 The striking intricacy of this bridal set gives modern touch to a timeless vintage design.